Where there’s a will there’s a way….. Acknowledgement – My handmade/homemade feeders are inspired by my friend Paul Fisk of Fiskys Fantastic Feeders. His words of encouragement and valuable advice have helped me significantly to reach a stage where I can build feeders of any size to suit my fishing needs, thanks mate!! I’d been looking for a suitable mesh to make my own feeders for quite some time but then Swifty gave me a huge feeder made from a plastic hair curler weighing some 70g and I thought hang on that’s easier than forming mesh into a cylinder shape so I trawled the internet for hair curlers but they aren’t that easy to find until you realise that they now come with a layer of fluffy stuff on them!! 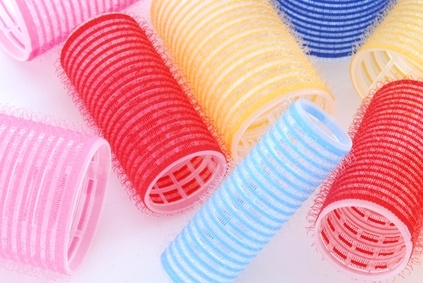 Once you realise that it’s like buses and you spot them everywhere, so the starting point is to get some Velcro Curlers also called Velcro Rollers which come in various diameters and coloured velcro, the are however all of a similar length of around 65mm but more of that later. As for where to buy them you’ll be surprised but Home Bargain shops, Poundland etc they all do them and I’d expect to pay no more than a pound for a pack of 4 to 8 rollers depending on the size you require. 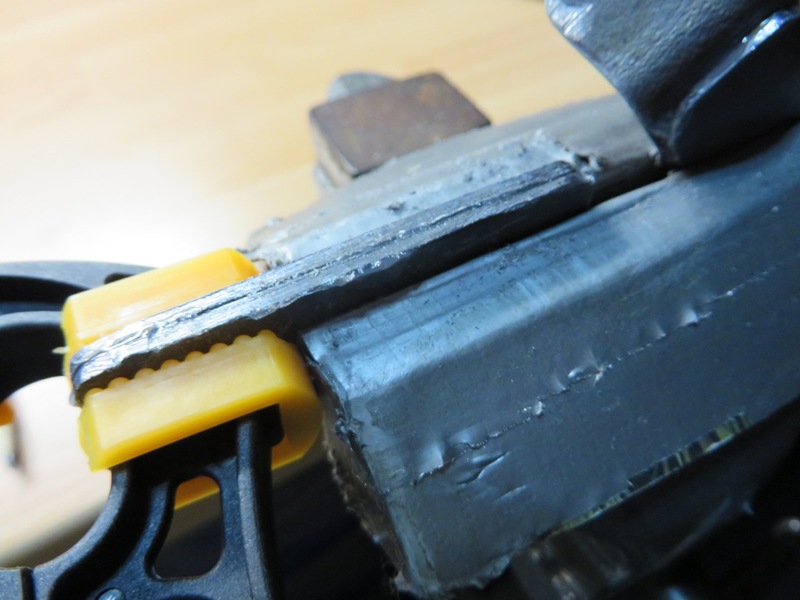 Once you’ve got your velcro rollers the first thing to do is to remove the velcro which is glued along one side so take a pair of sharp scissors and cut it off carefully. This will serve two purposes firstly we’ve no need for the velcro unless you can think of a use for it and secondly family members and neighbours will stop looking at you like you’ve lost the plot. 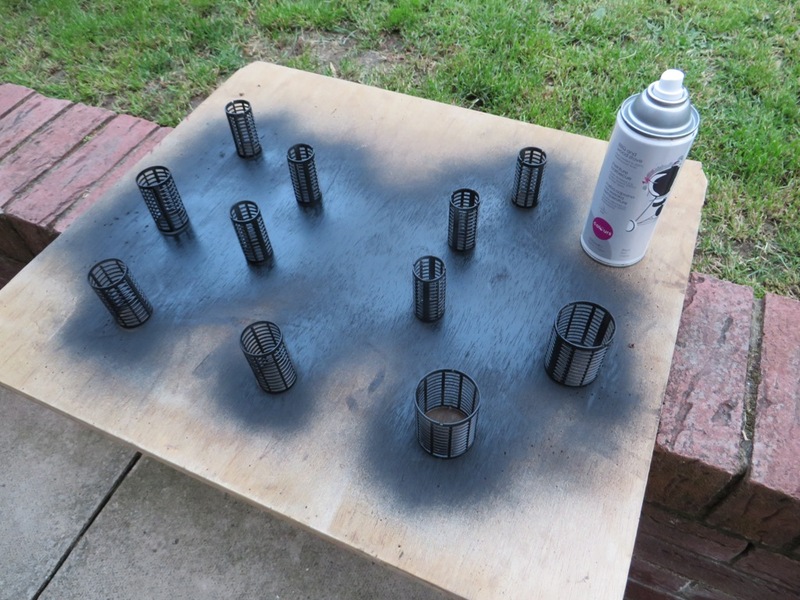 This will leave the plastic roller which is a translucent colour and you can then decide whether or not to paint it a more ‘manly’ black, green, camo, sand, textured or whatever you want or feel will not stick out like a sore thumb on the bottom of a lake or riverbed. I personally think it’s irrelevant on rivers and the jury is out across the different genre of angler, on the one hand your super stealth carper will buy a camo tea mug if they think it’ll give them the edge and put more big carps on the bank but footage of hard feeding barbel has shown them almost attacking a bait dropper as it hits bottom as they’re more interested in its contents than what’s to follow shortly after. I’ve experimented with a stone effect spray which I can only say left the feeder looking like an explosion in a sand factory, maybe I should have primed the plastic surface first but anyway suffice to say it didn’t adhere very well. 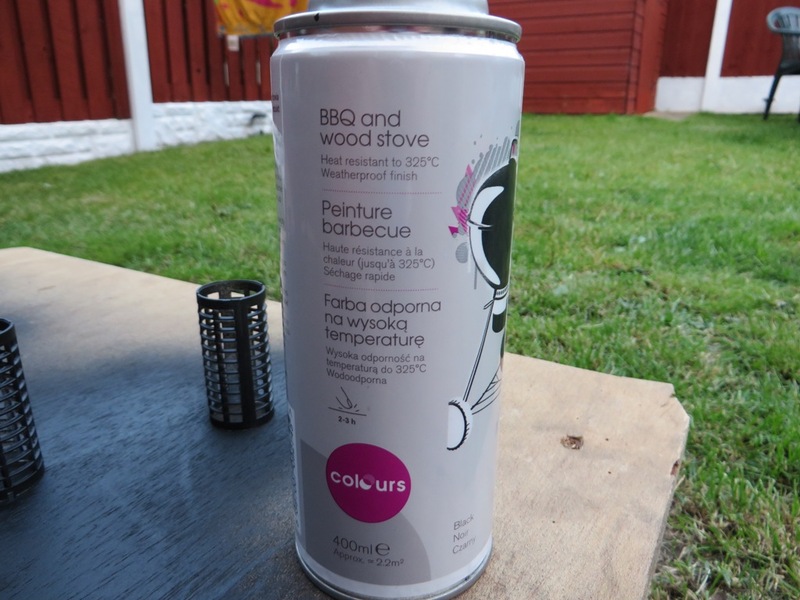 On Swifty’s advice I went for a cheaper tin of BBQ spray, it dries to a black satin finish and covers the entire roller easily enough, do a dozen or so at a time and your well on your way to a nice batch of feeders. 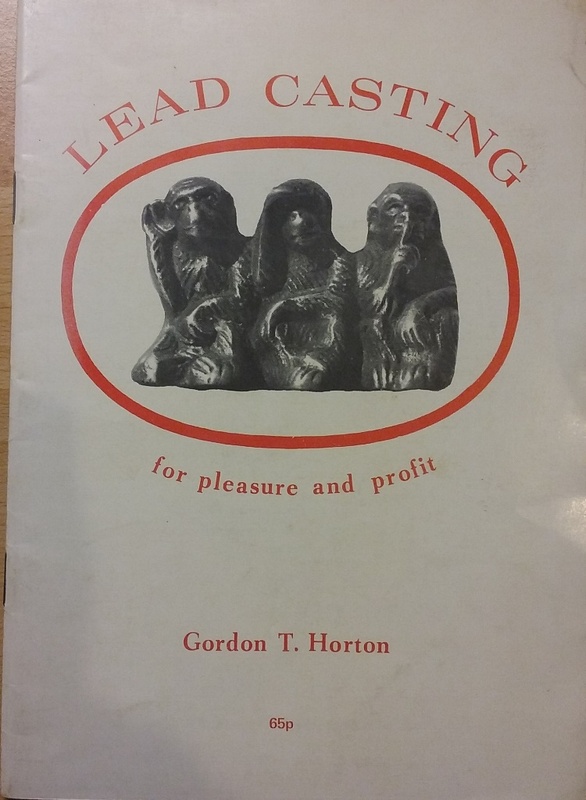 Next is the lead weight – now sometime ago I bought a handy little book called Lead Casting for Pleasure and Profit by Gordon T. Horton and originally it was to look at making my own lead weights but as I soon realised there are a number of drawbacks to casting lead firstly it’s a valuable commodity and not that easy to get hold of these days and secondly it can be quite dangerous particularly if there’s any moisture in the mould. 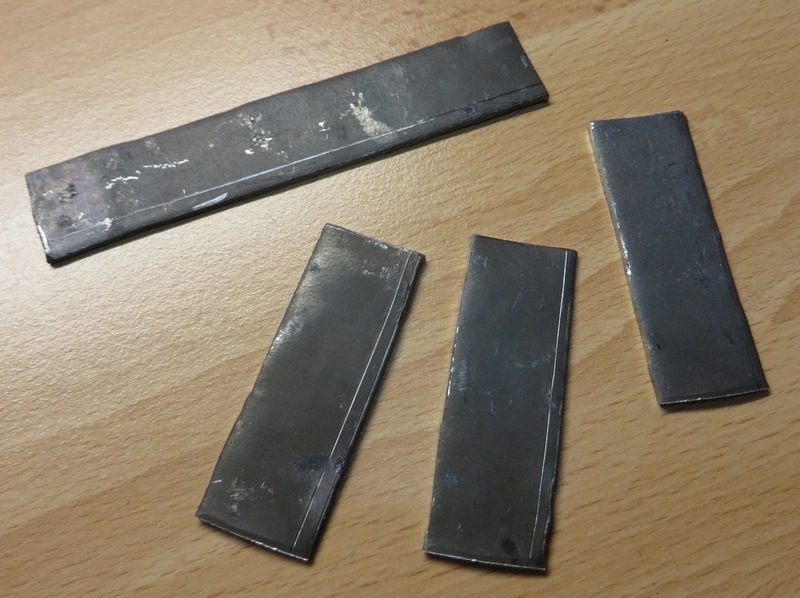 Instead I decided on buying a sheet of lead flashing and with a bit of cunning and some basic metalwork produce a lead weight of various widths and weights to suit my needs. 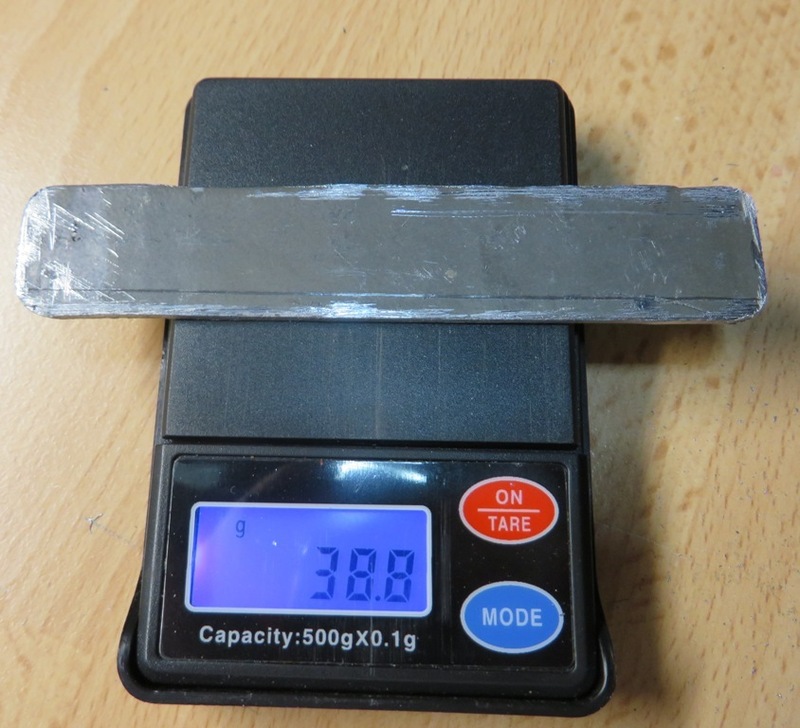 This is more readily available than scrap lead and I found a seller on Ebay who sells it in handy sizes enough to make around 15 x 2oz feeders for around £6 delivered, the sheet is grade 4 and approx 1.8mm thick. 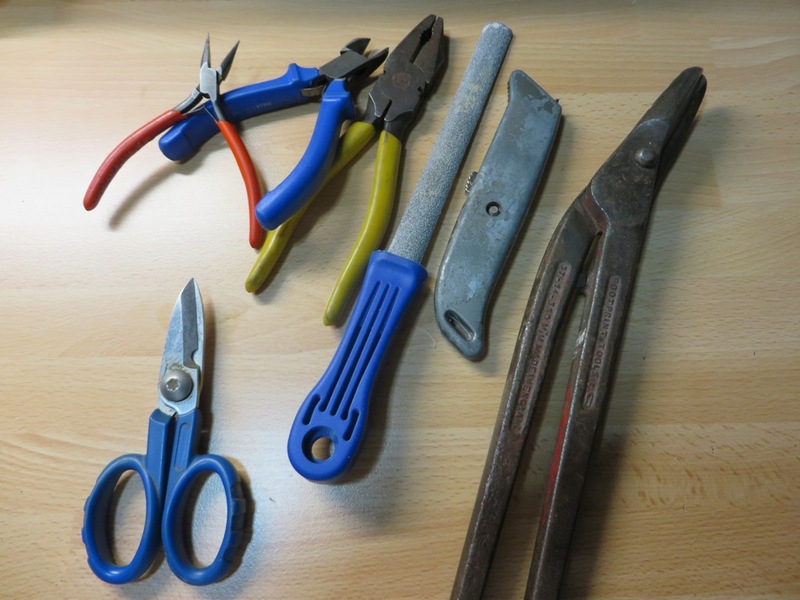 Before we move onto cutting the lead sheet into strips I should mention the basic tools used to make the feeders are shown in the photo below, you don’t necessarily need them all although the most useful one I’ve found is a small vice, this helps flatten and shape the lead as well as hold it firm when filing. 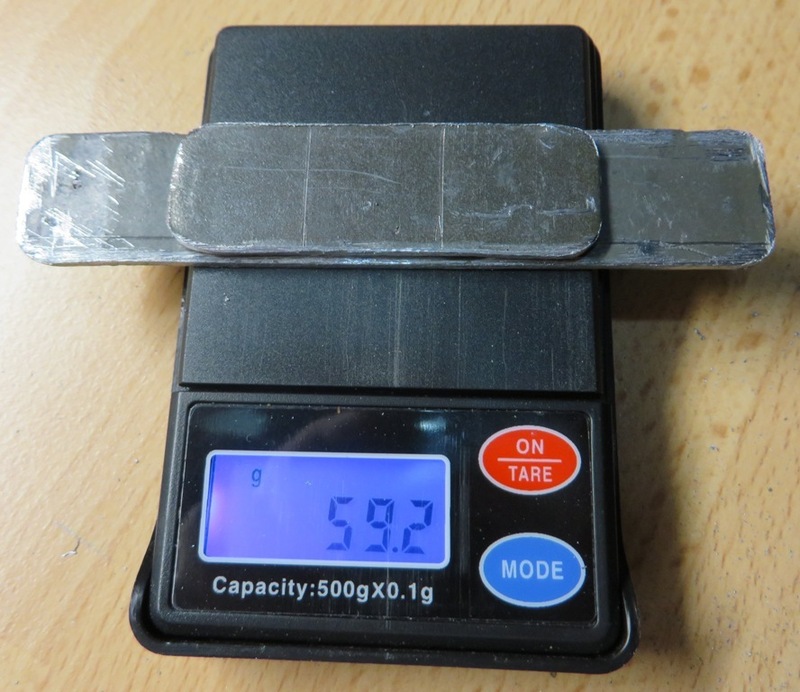 Next if you need a heavier feeder just cut further strips at 60mm long and use a suitable epoxy glue to bond them to the strap. 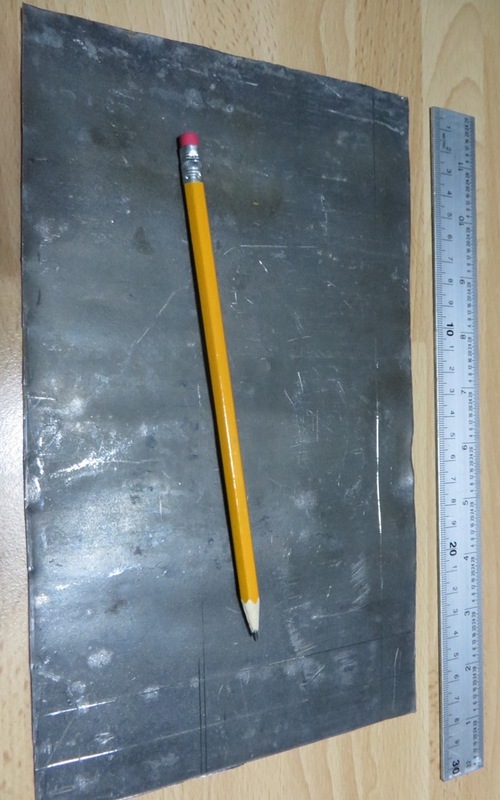 You’ll notice I’ve rounded off the corners in the photo above, this is to ensure there are no sharp edges that could lift a scale or worse whilst playing the fish. 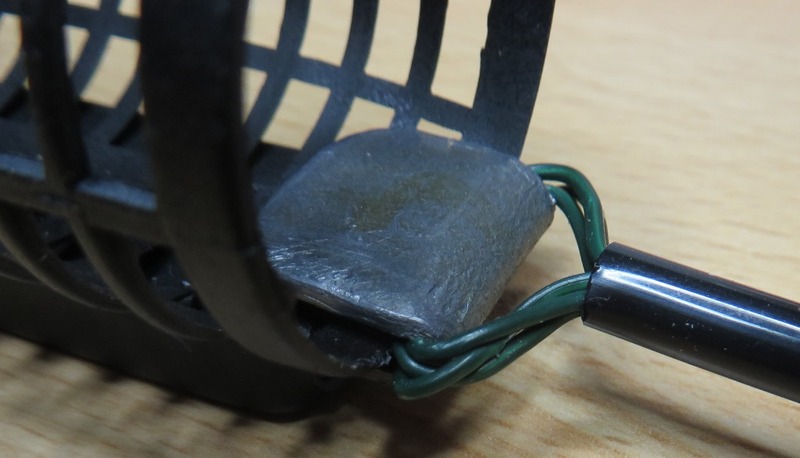 The finished lead should look something like this and whilst I haven’t tested it under water for long periods of time the glue may at some point fail and the lead strips delaminate so to protect against that I’ll add a piece of heat shrink tubing around all the lead strips. That just leaves the final part to make which is the wire and swivel to connect the feeder to the clip or mainline. There are number of ways to connect the feeder some shop bought feeders come with rubber O rings others use power gum, some have a normal swivels others use a big eye swivel and some dispense with a swivel and just have an hole the end of a plastic boom. It’s down to personal preference and how you want to connect the feeder to the mainline. 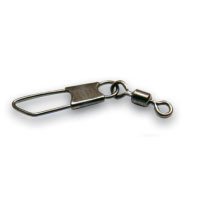 In my case I wanted a stiff link and a normal size 8 swivel as I use a free running clip swivel so I can change feeders or swap to a lead without breaking down the end tackle. The materials needed to make mine are shown in the photo below, I had the stainless steel wire in stock for making the eyes on handmade floats and initially tried it doubled up through the eye of the swivel the used a drill to put an even twist in it but a pair of pliers and a bit of patients would produce the same result. I then used a piece of rigid PVC tubing that was slightly smaller inside diameter than the swivel body and feed the wire through pushing the swivel home to leave just the eye exposed. 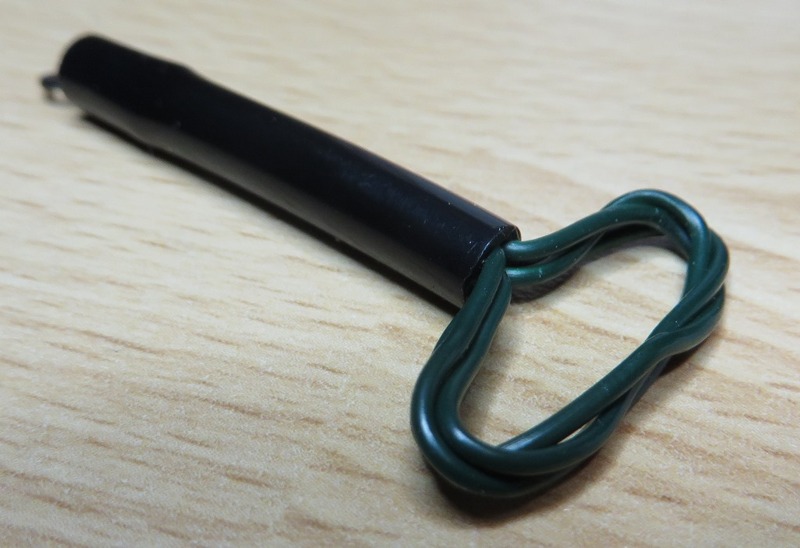 Then by twisting the wire back on itself you form a loop and with a bit of work with a pair of pliers form this into a triangle shape wide enough to go over the width of the lead strap. 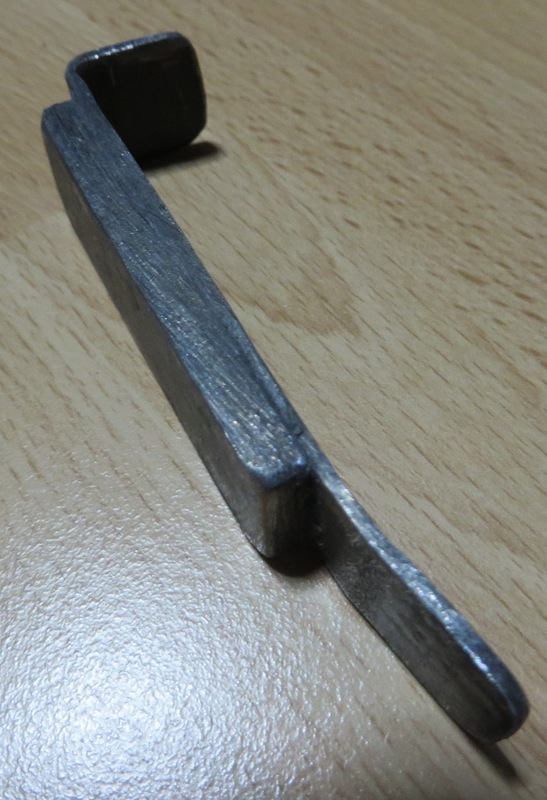 I’ve found that using a pair of long nose pliers or even a pair of forceps inside the loop and opening them out will form the shape you need as well as test the strength of the connection. 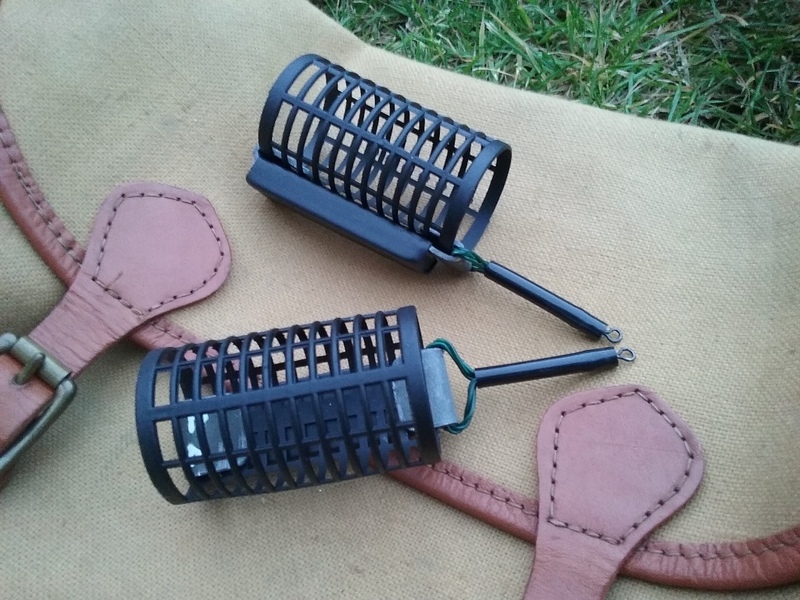 Fisky uses trace wire and a crimp which sits behind the folded strap and then rig sleeve to the swivel so there are a number of options and you’ll settle on one that suits your needs. 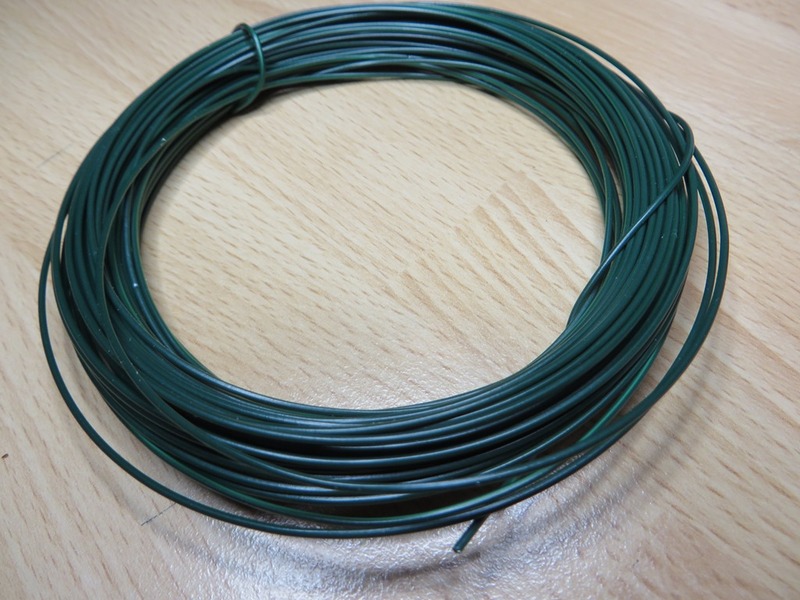 I’ve since found a plastic coated green wire meant for tying garden plants again in the pound shop and the benefit of that is it’s a little more flexible than the stainless steel wire and not shiny!! I still form the loop but then pass the tag ends through the loop and push them back up the tube making for a very secure joint. 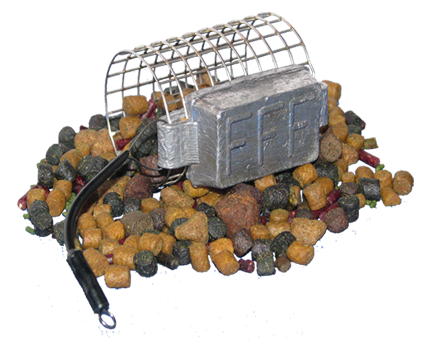 The feeders as mentioned earlier are 65mm long but to make a smaller feeder simply cut the roller using scissors or snips and file or sand down any sharp edges, obviously the lead strap will be shorter and the additional weights shorter too. I like a lighter feeder for my Avon rod and I’m using a few weighing no more than an ounce at present as the river I’m fishing is low and clear so there’s no need for anything bigger. It’s all well and good building big heavy feeders but you must match the maximum weight to the casting limit of the rod, a 3oz feeder of the size I’m using here will weigh 4 or 5oz when fully loaded, I can certainly tell the difference when I use a 12’ heavy feeder rod compared to the 10’ Avon rod. I’ve made a range of feeders recently that would have cost around £1.50 to £2 each but I’d be surprised if my DIY efforts worked out to more than 50p each in the long run so it’ll make the pain of losing one in snags a little easier on the wallet. 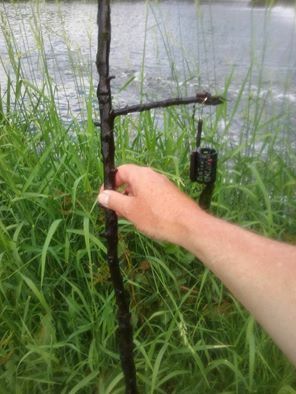 Final thoughts – Some anglers don’t use feeders at all and there’s absolutely nothing wrong with that but I believe in the summer months laying a scent trail for the fish to follow will lead them to you hook bait it’s therefore important to cast accurately every time and for your feeder to hold station even when empty to keep the hook bait in the baited area. 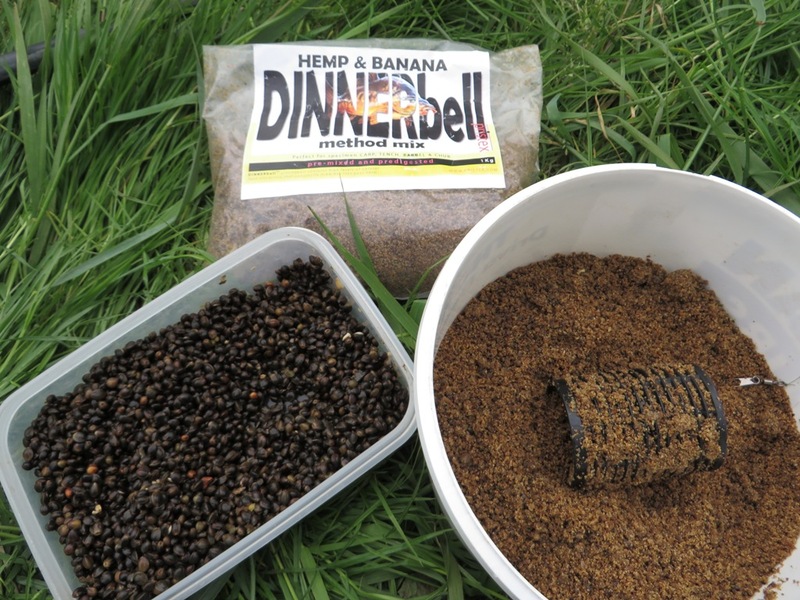 The ground bait of choice for me is the Hemp & Banana or Hemp & Halibut DINNERbell, it is pre-moistened and doesn’t need water adding on the bank which in turn means anything I don’t use is put back in the bag, it doesn’t go off so it’s really economical. 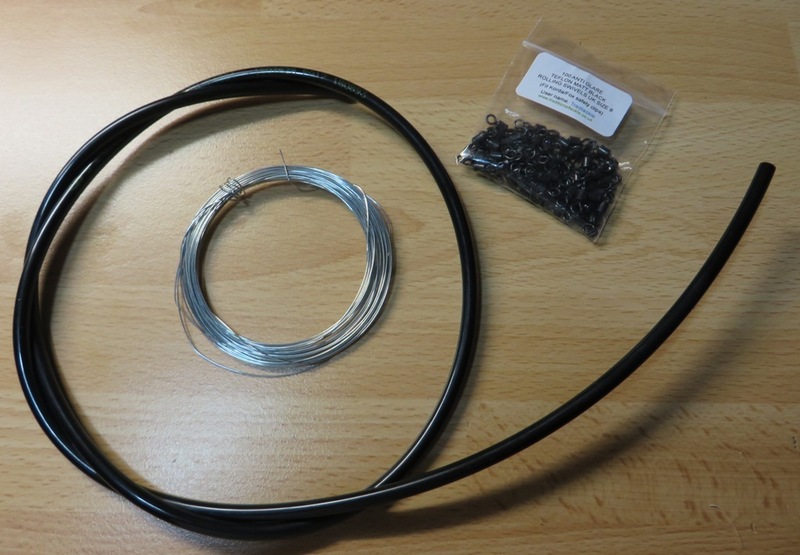 My solution to bonding extra strips of lead onto the feeders is to use a suitable diameter of blank shrink-tubing that overlaps the strips and grips around the ends when shrunk. This makes a durable, neat bond that hasn’t let me down yet. I suzpect, like you, that ultimately prolonged immersion in water will cause epoxy to fall. 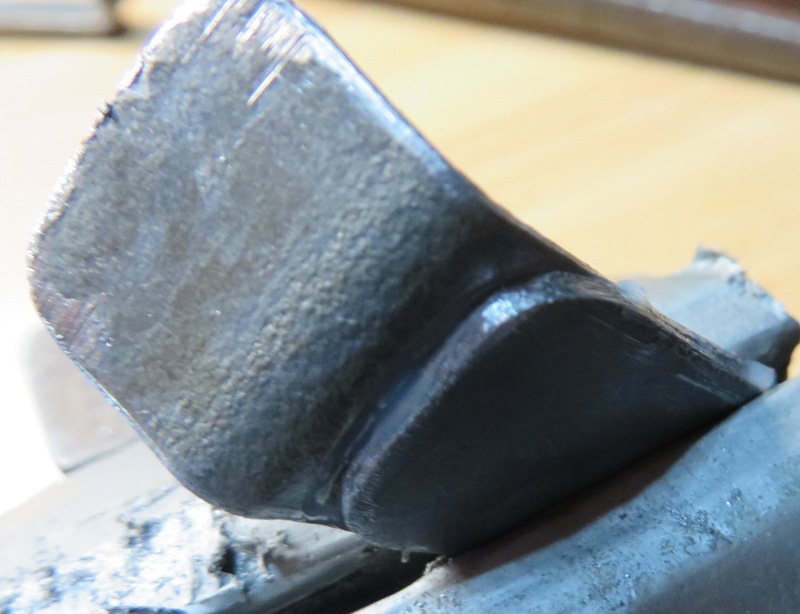 Great article with a wealth of info and something I’ll probably have a go at fettling myself over the winter months in the workshop. I purchased a dozen feeders from Fisky a few weeks ago and they’re terrific, as is he. 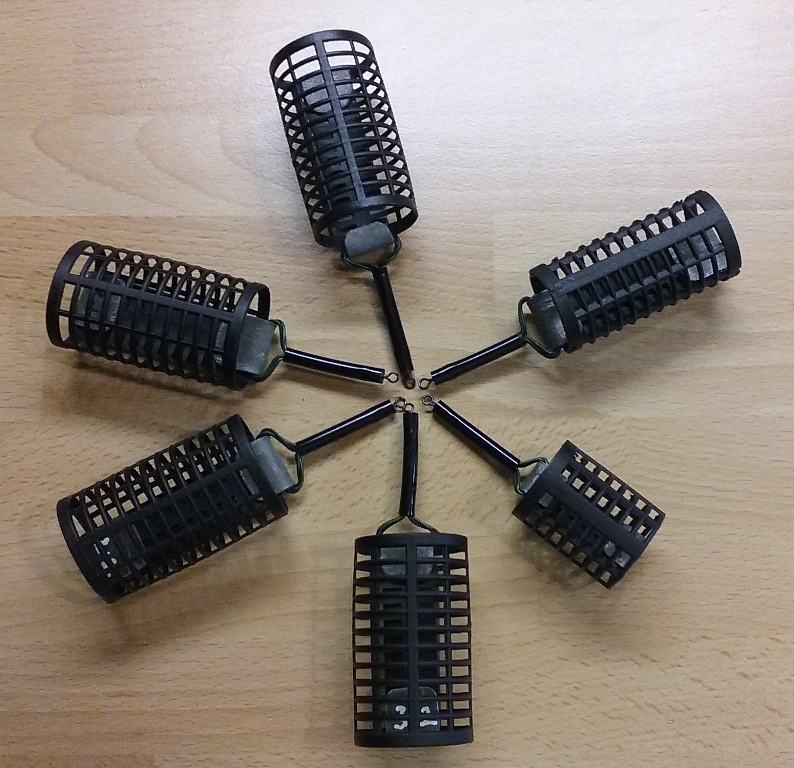 In fact, I still have a dozen left but the one I’ve used exclusively so far has lost it’s coat of paint in a few places as a result of approximately 24 hours worth of skirmishes with underwater obstructions to the point where it now looks suspiciously like one of your pound shop curlers! Thanks a lot for the feedback, I find making my own end tackle and floats very rewarding especially when they help you catch! !